With the girl's medals being decided yesterday, it was the junior boy's turn to take to the courts and battle for positions on the podium. Japan’s Naoya Kawakami and Shunsuke Tsukidate combined with Australia’s Benjamin Lander to secure the gold medal in style today at the Australian Junior & Cadet Open. The Japanese players were a class above, only dropping one game on their way to the top of the podium. And while Lander was unable to get a win on the board, it was an opportunity for the Australian to benefit being in a team with the best athletes the tournament has to offer. 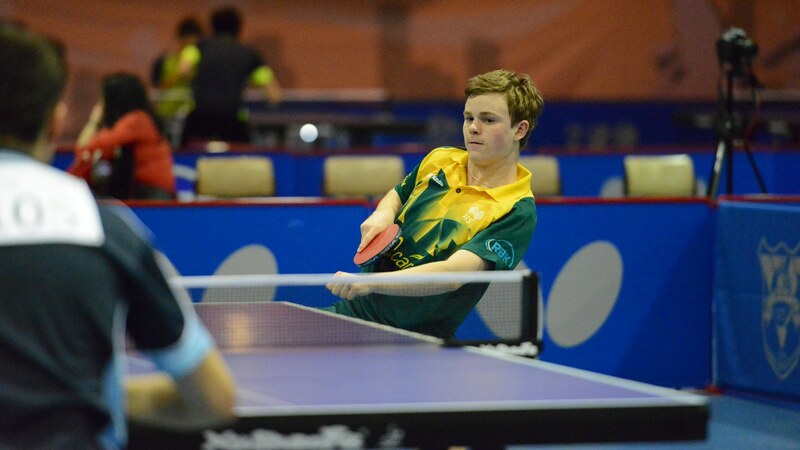 Australia A had to settle for silver as they went down 3-1 to AUS-JPN, but they weren’t disappointed with their overall result. It was a great learning experience for Australia’s top junior Rohan Dhooria. “I felt their defensive rally play was very good and their backhand flick had lots of variation. I have to learn how to combat this, and also introduce it in to my own game” Rohan Dhooria. Meanwhile Bob Liang, while finishing with silver, kept a clean sheet in the team’s event and is feeling sharp heading in to the singles and doubles tomorrow. The individual matches kick off tomorrow at 9:00 local time (GMT+10). Find the full schedule for Day Three here.